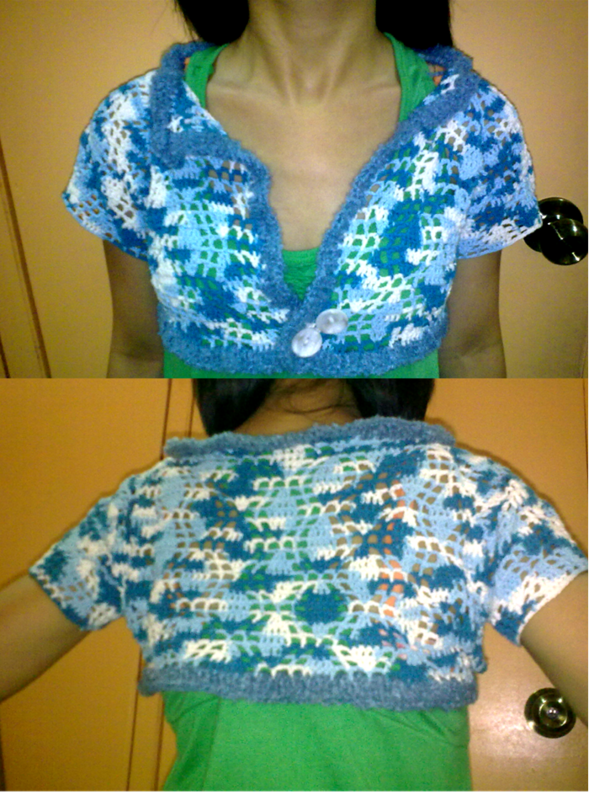 Entry filed under: Bolero, Crocheted, Instructions, Pattern. Tags: crochet instructions, crochet pattern, free pattern, sleeves. But with soooo many charts & instructions, I know I’ll never be able to figure it out!! Oh, I hope I could help you with this. Feel free to ask me questions. I will make two for my 2 daughters. I love it.